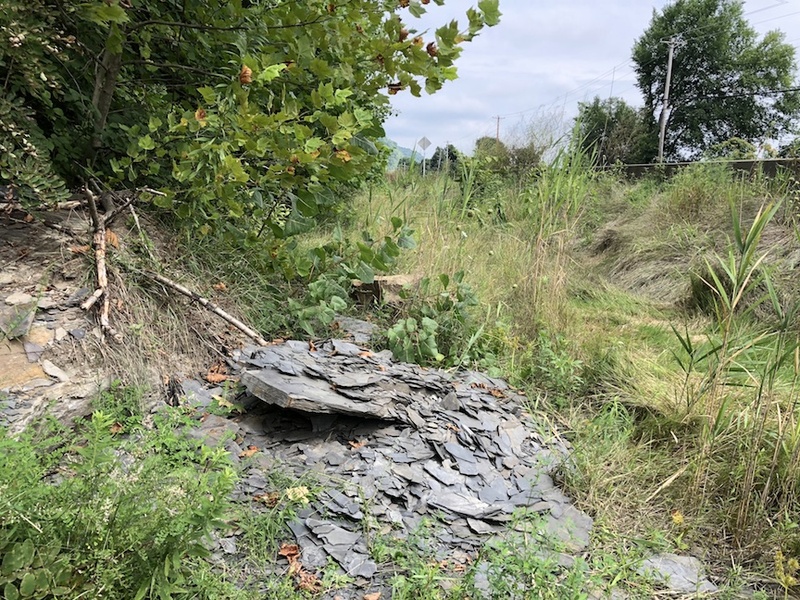 The site is located about 20 miles northwest of Pittsburgh on the Ohio River, opposite the town of Ambridge and just south of Aliquippa. but it is isolated from the road by a jersey barrier so once on the site, traffic is not a concern. NOTE: These photos are from 2006. I visited this site again in 2018. 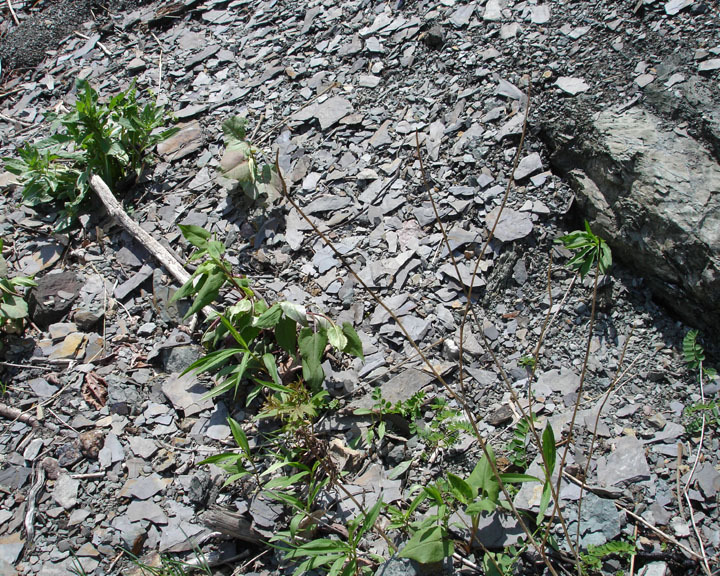 The hillside is rather overgrown but plenty of fossils are still there! 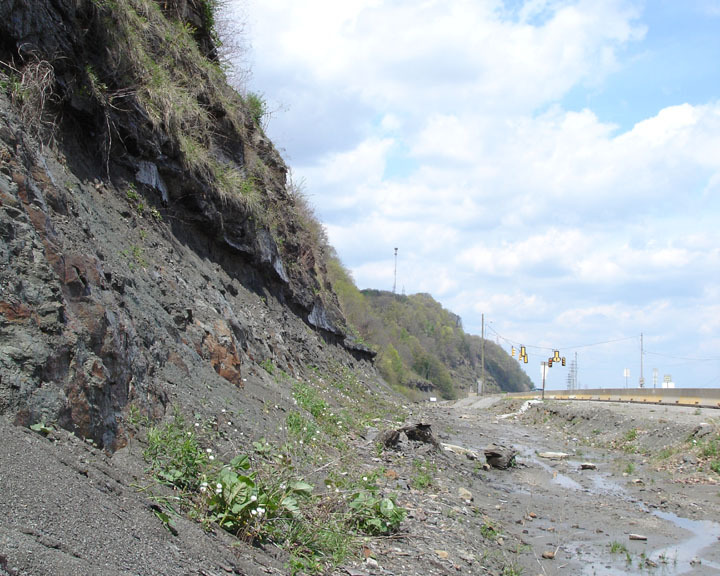 accessible when traveling south from Aliquippa on Route 51. Go past the bridge and follow along the jersey barrier until the road switches to a single lane. About 100 yards after the end of the barriers, there is a gated dirt road on the right. Turn into the dirt road and pull to the right so that you do not block the gate. Your car will be safe there. 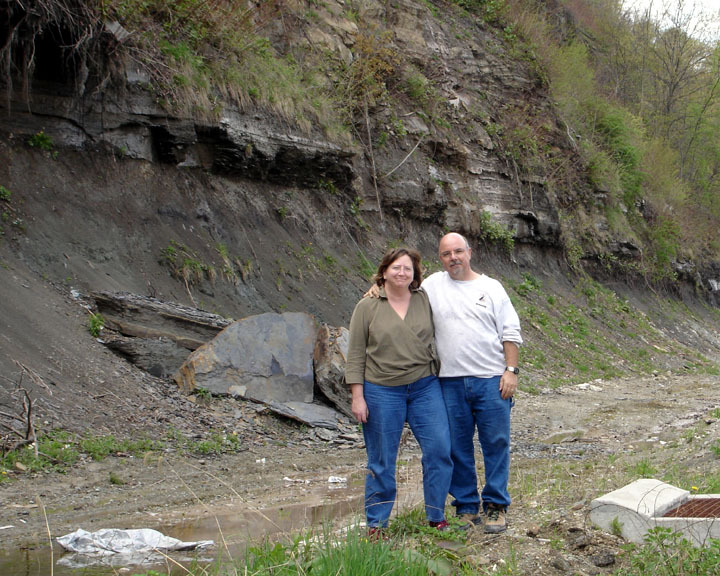 Its a short walk back to the area enclosed by the Jersey barriers where the fossils are found along the hillside. 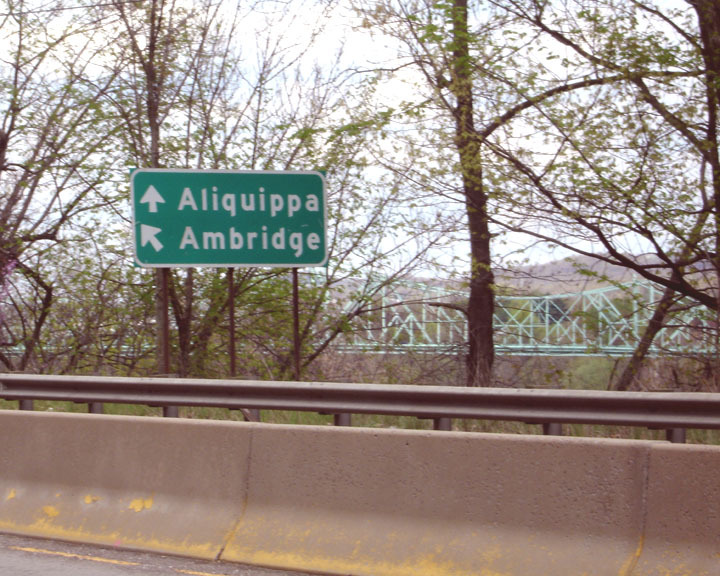 This puts you at the southern end of the exposure which extends for several miles north west towards Aliquippa. 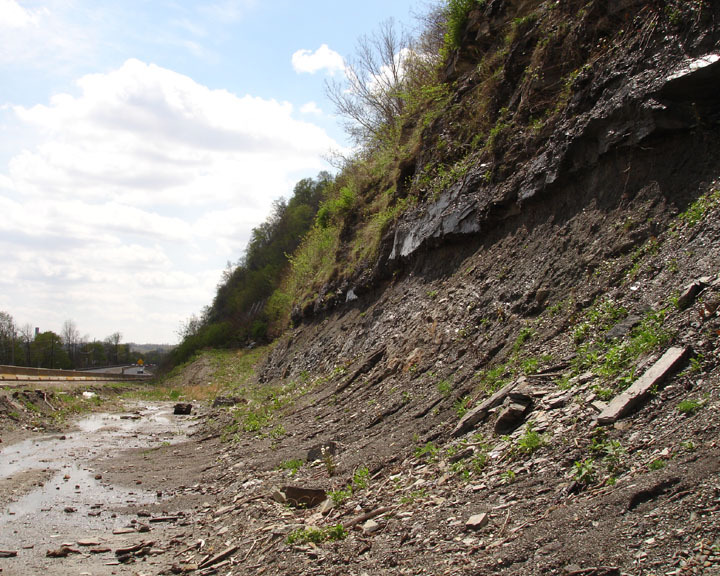 The site is a cliff face composed of loose and lightly compacted shales. The overall height is probably 100 ft or more with several bench levels carved into the cliff. 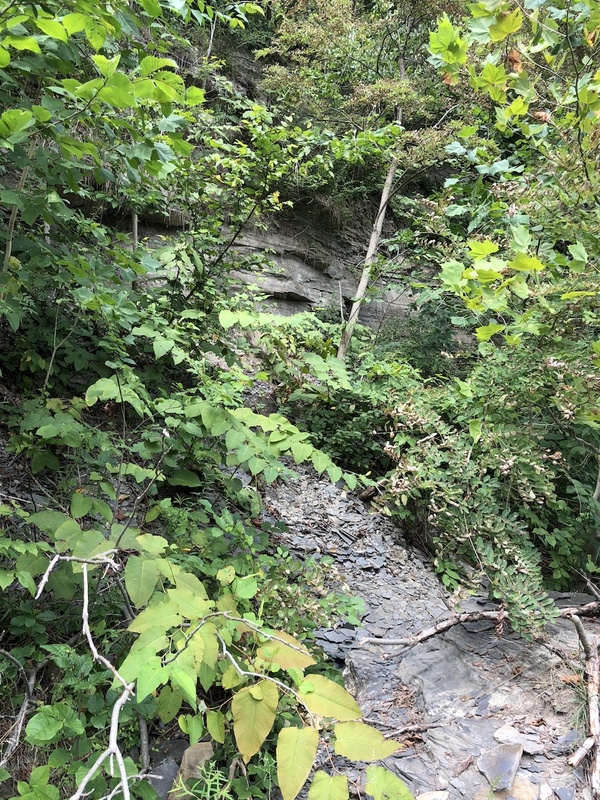 This site is great because it is impossible to NOT find anything and it is NOT necessary to climb or scale the cliff at all. I once climbed up the cliff to hunt on the benches higher up but I found nothing that I could not find in the talus at the base of the cliff. 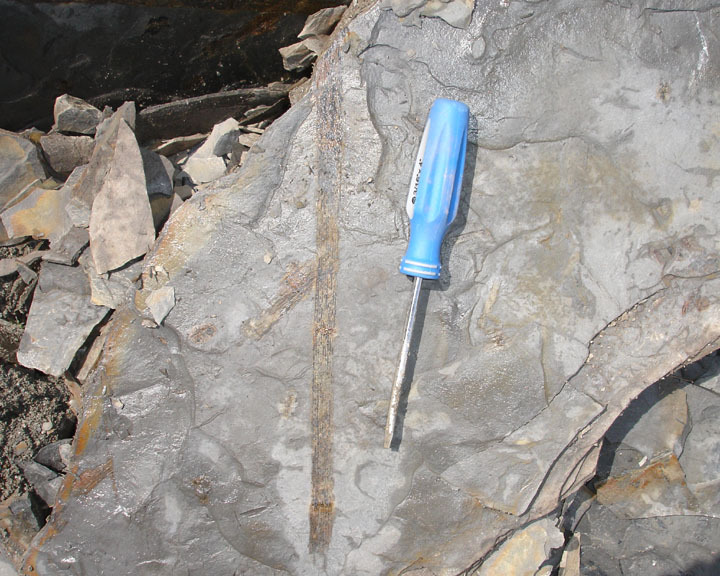 Nice fossils can be found in the scree along the entire face of the cliff and by splitting the larger blocks which have fallen from above. 12 years later, the area is a bit overgrown now but once inside the barriers it is quite safe. Scree piles are easily found amongst the trees all along the cliff. Leave that rock hammer at home, you will need nothing more than a medium sized flat blade screwdriver here. 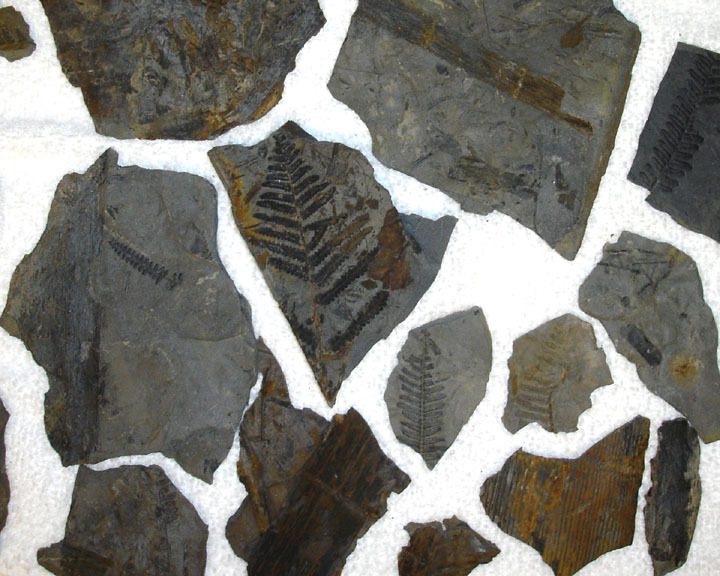 The shale splits easily exposing a wide variety of nicely preserved leaves, ferns and other plants. The site is good for a few hours of hunting. 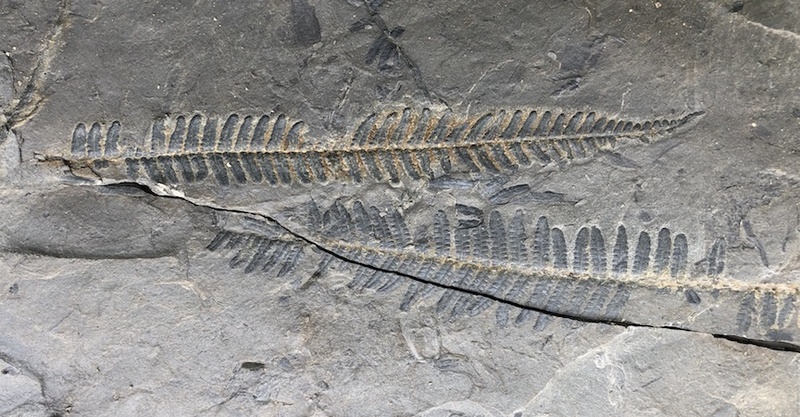 After that, you will have likely found most of the typical specimens. This is a sampling of about an hour's worth of hunting. I found this large specimen by patiently splitting one of the larger blocks in the scree pile.